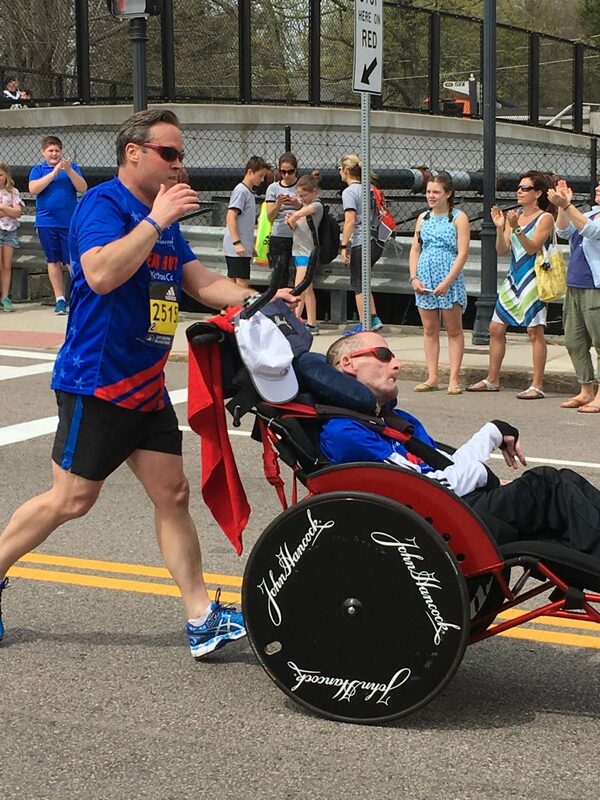 Another year, another incredible Boston Marathon. The 2017 addition of this incredible race did not disappoint. Six Americans finished in the top 10 which is a feet that hasn’t been accomplished in quite some time. More importantly, it was a beautiful day to celebrate the pinnacle of running and new England’s continued love of long-distance running. 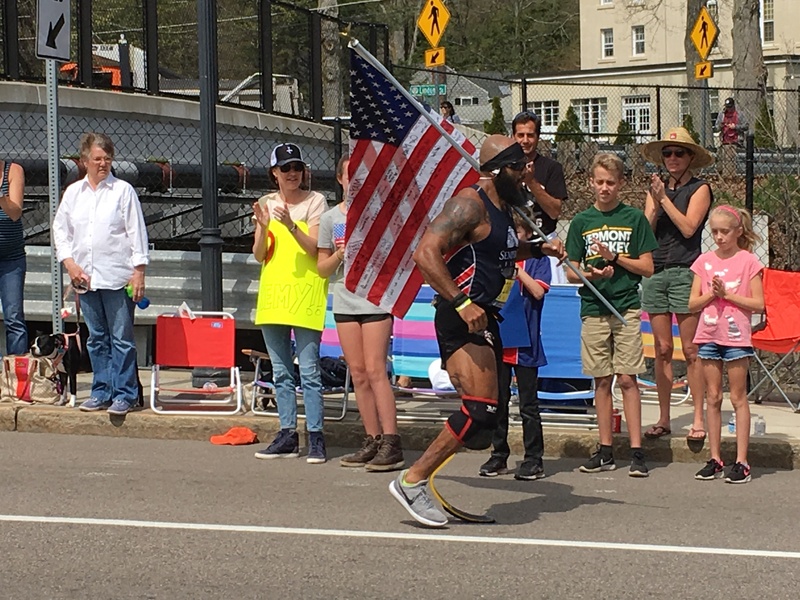 If you are going to run Boston in the future, be sure to check out our Boston Marathon Pacing Guide as well as our three-part Boston Marathon series: Part 1, Part 2, Part 3. While the weather looked ominous a little early on, by the time race day came around temperatures were in the low the 70s. That’s still a little hot for a marathon, but not too bad considering this is Boston. After all, you never know what you’re going to get in Boston. Past years of range from incredibly hot to very wet and cold. What started as a friendly 70° built across the middle of the day to the upper 70s. Since the race starts at 10 AM, midday heat is definitely a factor. The one constant you always get is the wind. And 2017 did not disappoint. Unless you were a runner, and you were pretty unhappy with the wind! Boston is a point-to-point run and basically moves Northeast for the entire 26.2 miles. This year’s wind was primarily from the South, which gave the runners a cross-tail for most of the day. For those of you don’t know, having a tail wind on race day is a double edged sword. While you’re getting the assist for some speed, you pay the price in terms of temperature. And that your back means that you feel no wind on your face. And depending on the direction of the course the wind was either behind you or coming at you from the side. Some of the gusts we’re directly head on! So when the wind was blowing, the runners were cool but didn’t like the wind. So when they got what they wanted and the wind stopped, the runners got really hot. A Faustian bargain to say the least! Overall, times were pretty consistent with past editions of the race. The runners who started later in the day in subsequent ways faced more heat and wind, and they definitely suffered a bit more than their earlier counterparts. It’s hard to make a direct comparison since the athletes and wave one are the fittest whereas those in the third wave are mostly charity runners, many of whom are doing their first Boston. Regardless of your marathon pedigree, a 110% was required to reach the finish line!! When I’m not running, I typically part myself at about mile 14 1/2 this is in the town of Wellesley and provides a nice viewpoint of how the race is unfolding. Within the context of a marathon, this is still very early in the day. But you can still see just how hard people are working. For your viewing pleasure I’ve included two slow motion videos below of both the elite women in the elite men. I really enjoy taking a look at the different types of runs drives. Having the video speed up again at the end really give you a sense of just how fast these women and men are running. I hope you enjoy the videos and that you are inspired to chase your marathon dreams!